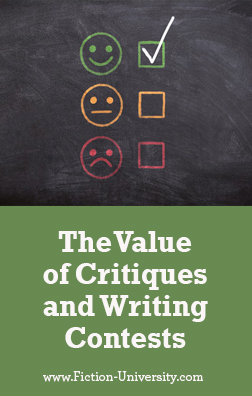 I saw a recent blog post by a writer unhappy about the critique she received from someone she was using, who “didn’t get” what she was trying to do. One of the problems we writers can have IS getting our readers to “get it.” And if they don’t, whose fault is that? Yours, clearly. It seems pretty obvious it’s the author’s responsibility to see that readers understand what he or she is trying to do or say. If your critic doesn’t get it, surely your audience won’t either. Many authors have a problem with criticism. “How dare you challenge my work, that I slaved over and love.” That’s a prescription to failure. While editing my novel Trapped, Dave King, an independent editor, recommended I remove a side plot that involved Phil with the Chicago Mafia. I resisted, but then later, a top literary agent at William Morse made the same suggestion. I had slaved over that side plot, building tension and danger, and weaving the climax into the ending of the novel, but both experts felt it detracted from Jackee’s story and it wasn’t necessary. So I pulled it out . . . but it’s not a total loss. I used that subplot in my fourth Al Warner detective novel, changing the venue from Chicago to South Florida, and the characters from Italian Mafioso to a Cuban cartel drug tsar. No writing is ever wasted. Then Dee Burks at TAG Publishers called me, saying they all loved Trapped, and it could be a winner in their “Next Great American Novel” contest, but felt it needed some content editing. Wow, was I excited. I embraced her suggestion of a single, first-person viewpoint (Jackee’s) throughout the novel, and felt some of her other suggestions were excellent. However, I balked at changing the ending, and after some discussion, she agreed with my take. Overall, our collaboration made Trapped a great novel, and the most prevalent comment I get from readers is, “I loved the ending!” Listen to feedback, but ultimately, it’s up to the author to decide what works and what doesn’t. Ultimately, critiquing is still a matter of taste. A smart author listens, and isn’t too proud to make changes that work, but is willing to resist things they think will compromise their story. It can be a delicate balancing act, but when well performed, can have wonderful results. But, like in all things, opinions can widely vary. This is especially true in contests. Shortly after I made those challenging revisions to Trapped, I decided to enter it in the large Florida Writers Royal Palm Literary Award (RPLA) contest, where it became a finalist. Success in large contests is another way to validate your work and heighten prestige. A while after Trapped was published, I got the results—and the rating sheets from the three judges from the RPLA contest. Although a finalist, I was not the winner in my genre. As a finalist, the third judge read the entire manuscript. Unfortunately, he (or she) didn’t agree with Dee or the earlier judges. He down-rated Trapped because he wanted scenes from other characters’ viewpoints—all the ones I’d carefully removed at Dee’s suggestion, and that was enough to keep me from winning that contest.Clearly, this wasn't the novel for him. This isn’t the first time I’ve had one judge rave about something, like characters or scenes or settings, while another denigrated the very same things. My other novels have been past finalists in the RPLA, with similar results: raves by the preliminary judges that weren’t echoed by the final judge, who saw things differently. It’s the same reasons authors like Louis L’Amore (America’s top Western writer for EVER) was reputedly rejected 350 times before finally getting published. And J.K. Rowling, probably the wealthiest woman in the world right now, struggled for years before finding a small publisher to take a chance on Harry Potter. The stories of rejections that become Best Sellers are legion, because you can’t accommodate for taste. Listen to the feedback, trust your instincts, and do what will create the best story. I suggest this attitude should work for all of you, no matter what your endeavors. George A Bernstein is the retired President of a modest, publicly held appliance manufacturer, now living in south Florida. 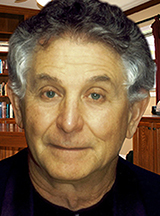 He spent years attending writing seminars and conferences, learning to polish his work and developing a strong “voice.” He works with professional editors to ensure his novels meets his own rigorous standards, and all of his books are currently published by small indie press, GnD Publishing LLC, in which he has an interest. White Death is the fourth of his Detective Al Warner Suspense series, with the others; Death’s Angel, Born to Die, and The Prom Dress Killer, all garnering rave reviews. Bernstein has become known for crafting endings no one expects. His fifth Warner novel is already in the works, to be published in 2019. Readers have likened Bernstein’s Detective Al Warner to Patterson’s Alex Cross. Bernstein is also a “World-class” fly-fisherman, setting a baker’s dozen IGFA World Records, mostly on fly-rods, and he has published Toothy Critters Love Flies, the complete book on fly-fishing for pike & musky. Meanwhile, Ashton Kerry is furious his in-laws, who both died in a flaming boating accident, left him nothing in their will, but his wife’s massive trust fund provides all he can spend. Determined to have his own stash so he can ditch his family and be with his mistress, he enlists the Cuban mafia to ship cocaine via his company, packaged as brochures. Kerry is paid a nice percentage of their value. But in setting this up, the Cubans murder five of his employees, drowning them in a fake auto accident. Then Kerry’s ties to the Cubans become more complicated–and dangerous–than he ever expected. Warner’s gut tells him the accidental drowning of five factory workers is highly suspicious, and his “gut” is seldom wrong. It’s one of two cases the “Hero of Miami” is zeroing in on. The other puzzler is the exploding rash of deadly ODs from fentanyl-laced heroin—White Death. The drug is so lethal, he suspects the fatalities may be intentional. Soon everything erupts into a series of stunning revelations and deadly confrontations, with Warner once again thrust into mortal danger.